“That MNF season low of last year went on to deliver a 3.7 rating among adults 18-49 and a total viewership of 10.3 million. It’s worth noting that the peek [sic] of last week’s MNF came in the halftime on the Disney-owned cabler when the new ‘Star Wars: The Last Jedi trailer was debuted,’” Deadline noted. Last night’s “Monday Night Football” game dropped 3 percent over the results from the Arizona Cardinals 28-3 blowout victory over the New York Jets on Oct. 17, 2016. Typically, blowout wins tend to generate less overall interest. “With a rating that matched the Jets score, that demo season-low game eventually drew a 3.0 among the 18-49s and 8.4 million viewers, an almost audience bottom,” Deadline.com added. For “Sunday Night Football,” which saw relatively popular teams the New York Giants and the Denver Broncos play, the ratings were up over the past week. It drew a primetime rating of 10.9/18 in metered-market numbers. Those numbers were up slightly over the Sunday, Oct. 8, matchup between the Kansas City Chiefs and the Houston Texans, which saw a 10.6/18 in metered-market numbers. 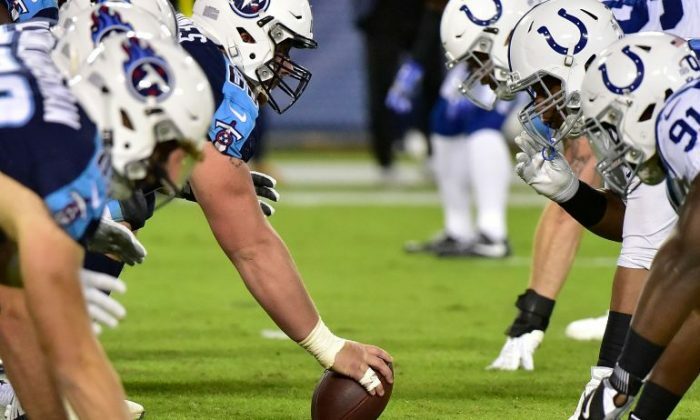 It was up 21 percent over the Week 6 Sunday night game last year between the Indianapolis Colts and the Houston Texans. On Tuesday, NFL team owners and executives met and are weighing in on the spate of protests during the U.S. national anthem, which has prompted some fans to say they’re boycotting watching or attending games. President Donald Trump last month said that any player who refuses to stand for the playing of “The Star-Spangled Banner” should be fired. 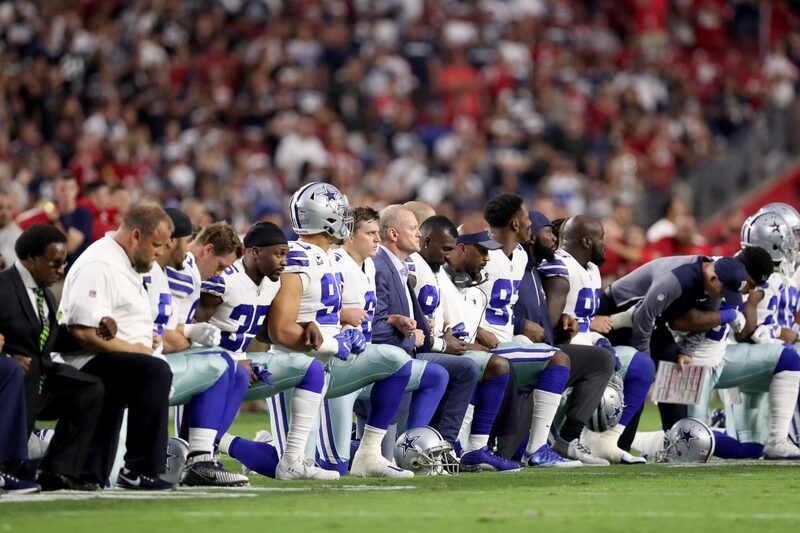 The following Sunday, at least 200 players engaged in some type of protest—but they mostly knelt. Some team owners, including Dallas Cowboys owner Jerry Jones, sympathize with the president. Jones said he would punish players who knelt by keeping them off the field. The players who have taken to kneeling say they are protesting against the police brutality and killings of black men in the United States as well as perceived racial disparities in the criminal justice system. More than half of all NFL players are black. The protest was started by ex-quarterback Colin Kaepernick, who is currently a free agent.